Historical fiction is a great way to bring history alive. While reading and getting a grasp of the facts from a textbook or other resource is an important part of learning, I have found that engaging in fact based stories has been a very enriching experience. 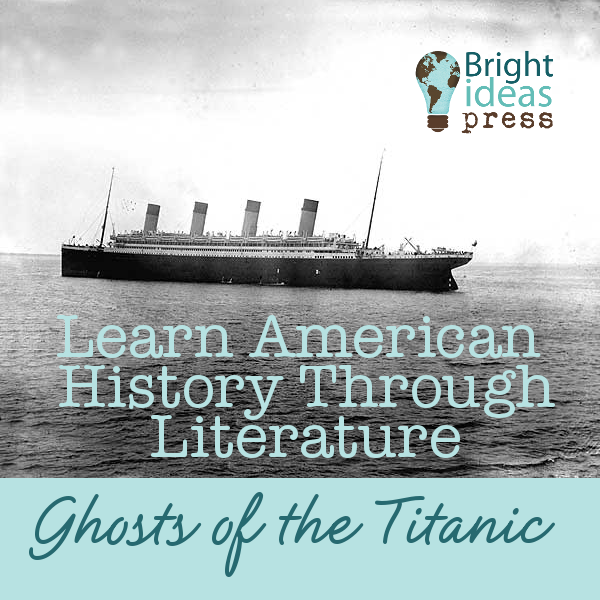 In this second post of Learn American History Through Literature, I take a look at the sinking of the Titanic. 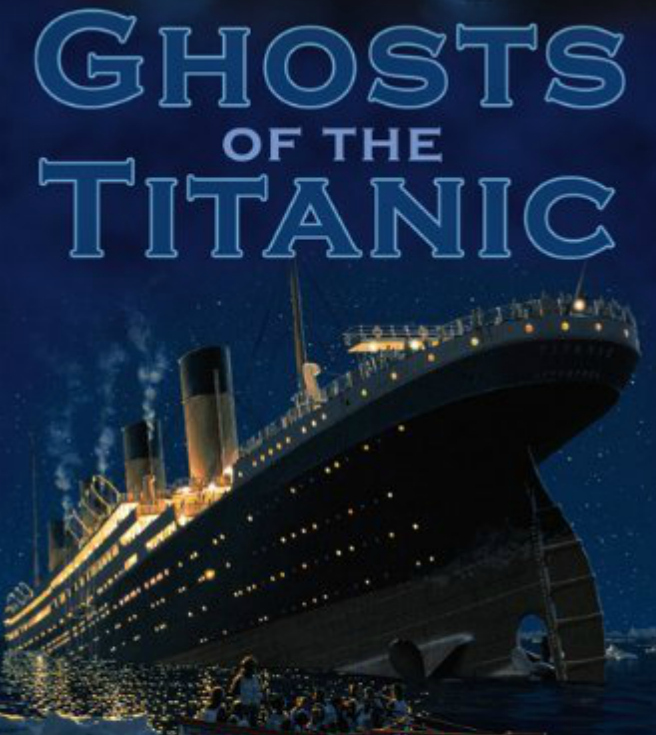 Ghosts of the Titanic offers an unusual look at the sinking of the Titanic from the perspective of those sent out to clear the bodies from the water. This was an aspect I had never even thought of until reading the novel. I would recommend this book to the 12 and up group of readers. This is a great read for those that are fascinated with the Titanic as it offers food for thought on a less exposed side of the story. I would like to note the obvious ghost storyline. This is done to show you the stories of two different people, Angus and Kevin. Angus was a crew member on a ship that was sent to recover bodies and offers us a firsthand look at the disaster, and Kevin is a boy who comes to live in Angus’ old house and becomes haunted by the ghost of a woman who died on the Titanic. What is so special about Ghosts of the Titanic is the story it reveals about how Halifax played a role in the aftermath of the disaster. Canadian cable ships were charted by the White Star Line to go to the site of the Titanic disaster to recover victims’ bodies and take them to Halifax for identification and burial. The men on board these ships had to deal with the task of hauling bodies out of the water, the task of trying to identify them, and the daily trials of perserving and dealing with the piles of dead bodies they recovered. Preview of Ghosts of the Titanic. Where does the bulk of this story take place? Why is Kevin in this place and how does he feel about it? How is Kevin’s relationship with his father? Do you think there are things Kevin and/or his father could do to change their relationship? What is the Mackay Bennett? How does Kevin get an up close view of the events happening on the Titanic? What event in Angus’s life sets the stage for the story and becomes the problems that needs a resolution? Do you think the telling of the story using two different time periods enhances the story? Why or why not? Read the timeline of events and create your own Titanic timeline with this FREE Printable Titanic Timeline. History on the net has an extensive collection of general Titanic Worksheets to choose from: things like cut and paste timeline activities, crosswords, quizzes and more! Mapping activity – plot the route of the Titanic and pinpoint where it went down. Also locate Victoria, British Columbia, Nova Scotia, Hailfax, and Prince Edward Island. For many more historical fiction books and activities check out Historical Fiction Series ~ Titanic. Heidi lives in upstate New York where the winters are long & cold. Her house is filled up with her loving husband of 17 years, 3 busy children, & 2 dogs (Muffin & Oscar). Homeschooling started out as a trial run with a child beginning 2nd grade, & almost 9 years later has become a lifestyle which brings great joy. With 3 children homeschooling multiple ages is the norm in their house. You can find her writing at on her own blog, StartAtEight where she often focuses on homeschooling high school, elementary unit studies, and books/reading. You can also connect with her on Google Plus, Facebook, and Twitter. Get Your Bright Ideas Press 2014 Catalog!